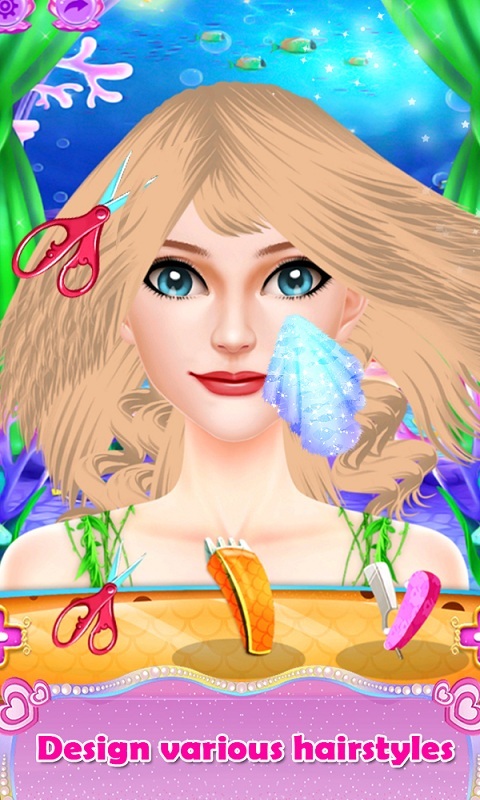 The beautiful mermaid is at the salon for the first time in her life. 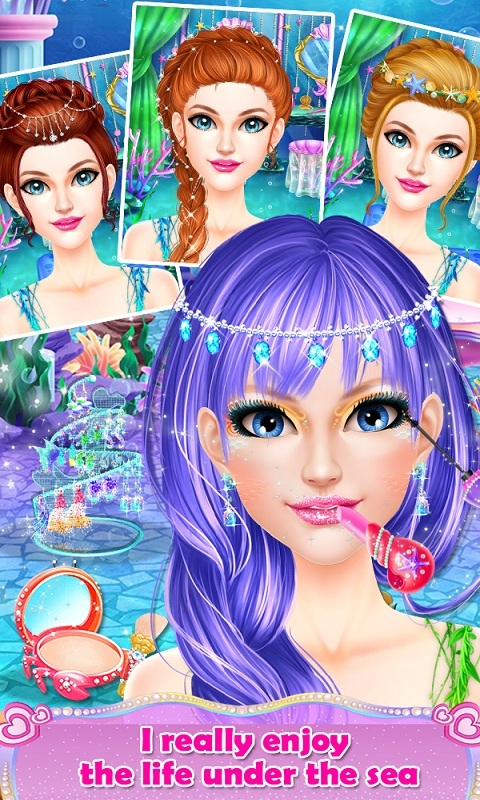 Help her with all the different makeover activities at your mermaid special salon. 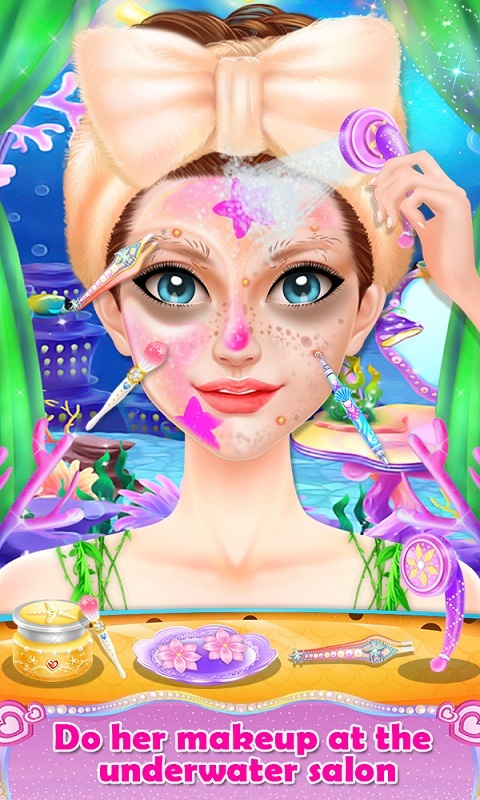 Start with the face makeover activities and use all the different cosmetics and creams. Make her face glow beautifully like a moon. Clean her hair with the shampoo and give different style to her hair. 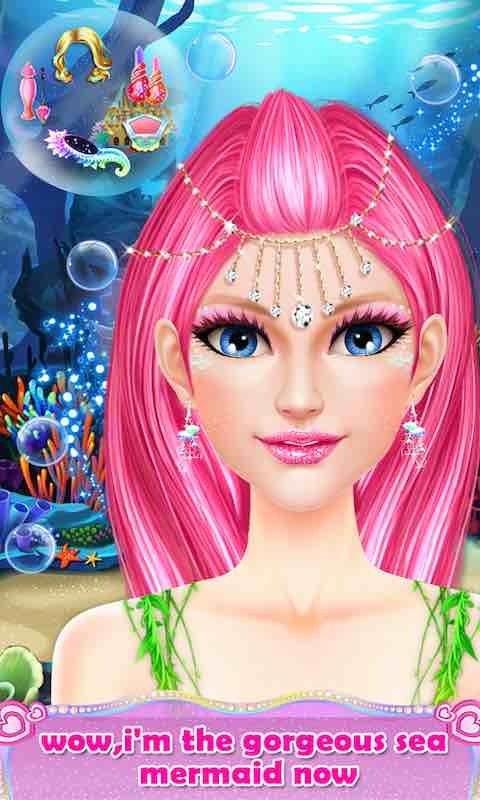 Do different hair designs and colors for her hair. 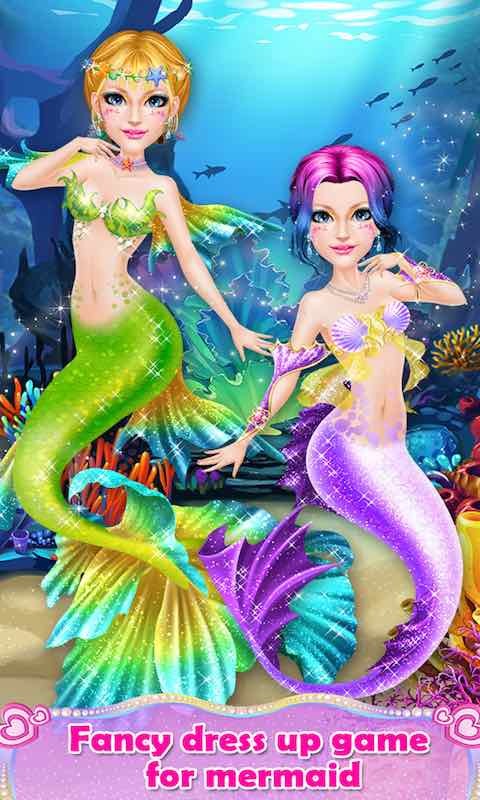 Finally help her to choose the best and the most beautiful mermaid dress costume at your salon.